Curb the Blind Pimple Once You Spot It!! Can you recall having a painful red patch on your skin? Well, you may not realise that after a few days it turns into full grown pimple which takes longer to heal. That innocent looking red patch is a blind pimple and it is a harbinger of a pimple on its way. A blind pimple is often more painful because it grows from deep inside, closer to the nerves. It takes time to come to the surface and then further more time to heal when it breaks out. It is best to treat a blind pimple immediately after you realise something fishy under your skin beneath a red patch. 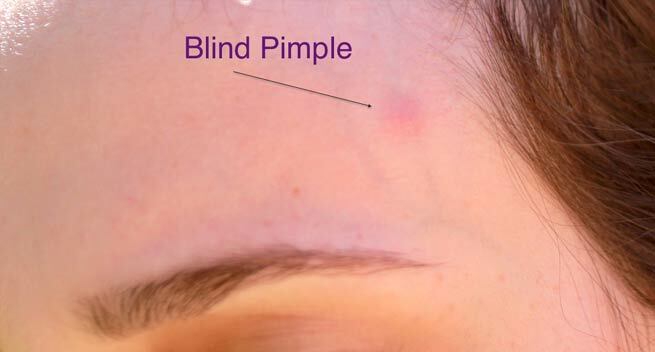 A Blind pimple can be treated when it is at a nascent stage so that it sprouts quickly and if you are lucky enough then it might vanish without coming to the surface. Try these simple remedies. You can give cold treatment to your pimple in the initial stage. • Firstly, you can wash your face with cold water2-3 times in a day. • Also in the nascent stage, you can try to give cold compress by taking some ice cubes in a napkin and pressing it on the red patch. • With this your pain as well as swelling and rashes will reduce. • It may happen that the pimple may surface out faster without any ache. Similarly, you can also opt for warm or hot treatment. The warmth should depend upon how much your skin can bear. Sometimes, excessive hot might make it more painful. • All you have to do is soak a cloth in warm water and compress it on your blind pimple. • You can try this 2-3 times in a day. This will fasten the process of blind pimple breaking out and also reduce your swelling. • You can take unboiled milk which serves as an excellent cleanser for your skin and helps in opening your pores and cleaning them from dirt and bacteria. • Take a cotton ball and dip it in the milk and then apply on your affected area. • Keep it for 20 minutes and wash with warm water. You can repeat this twice or thrice in a day for better results. Honey works efficiently by fighting with your blind pimple and also it helps in preventing any scar or blemish on your skin. 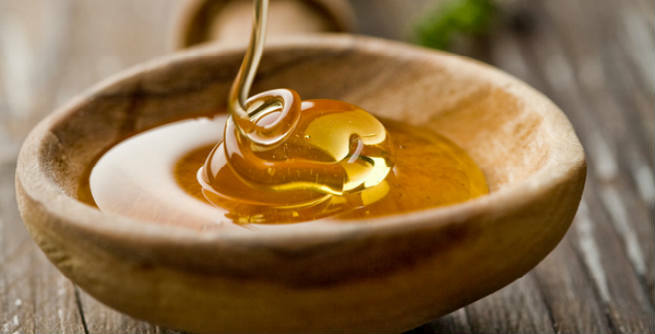 • Take pure honey in a bowl and refrigerate it for some time. • Now with the help of a cotton ball, apply on your blind pimple. Let it be there for 20-25 minutes. • You will feel relief from pain if you do this regularly and also find effective results. Lemon has all the properties to fight against pimple. The acid present in a lemon juice works in drying up the area and also fighting against bacteria in the skin. • If you have a very sensitive skin, then lemon juice alone might feel itchy or hurting. You can add rose water to it which is also good for skin. • So, take some lemon juice and add few drops of rose water in it. Now apply on your skin and keep it for 15-20 minutes. Rinse with warm water and repeat this daily for clear skin. Aloe Vera gel is a wonderful cure for skin problems. Apart from diminishing bacterial infection on skin, it is also helpful in repairing damaged tissues. Being a mild gel, it is suitable for sensitive skin also. • Take an aloe vera leaf and extract its gel. Now keep this gel in a tight container in a refrigerator as you can store it for future use also. • Apply aloe vera gel on blind pimple and let it remain for at least half an hour. • Now wash your face clean and moisturise it well. Repeating this daily will heal your skin faster. Sandalwood is also one of the most useful tactics to deal with pimples and acne. 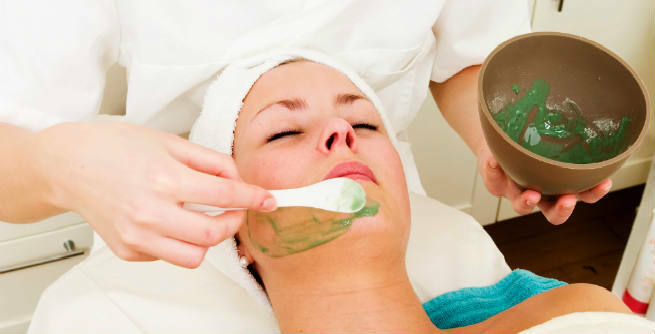 It helps in improving the overall texture of the skin and treat pimples fast. • Take sandalwood powder and make a paste with the help of water, milk or rosewater. • Apply this paste generously on the affected area and let it dry. After that wash the area and tap with a clean towel. You will find your skin healing and blemish free with regular usage. Toothpaste can also help you if all other things are inaccessible to you. But it is not recommended for sensitive skin and also as a regular treatment. • Make sure that the toothpaste you are using is a simple white coloured one. Apply it on the red patch and wash it after it dries. • You will find that your pimple simply vanished due to drying and your skin is back to normal. We hope these remedies help you in treating your blind pimple faster and relieve you from the painful agony.